A synthetic polishing pad, made from a combination of polyester and rayon fibres thermally bonded. The perforations aid in glass polish retention and in cooling. 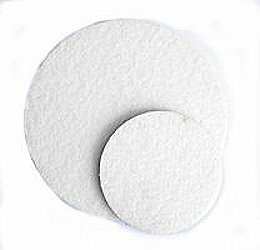 White fiber based resin treated polyurethane perforated polishing pad for diverse polishing applications and surfaces. 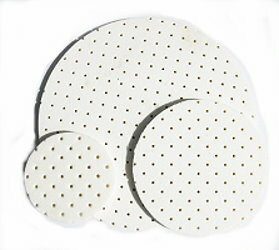 The fiber material makes excellent interconnecting cellular structures, which make the pad highly durable and dimensionally stable. This material is designed for superb surface finishes. 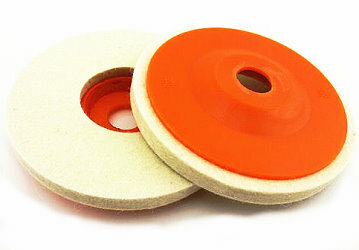 A bevelled, concave felt glass polishing pad. 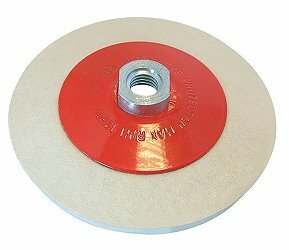 The concave shaped polishing pad face aids in compound retention, resulting in minimal compound loss during the polishing process. 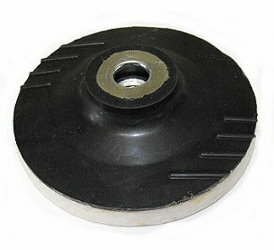 A medium soft density felt pad to be used on a polisher which has a securing flange.